Our third-party logistics supply chain partners in Cleveland are adept at helping clients navigate all challenges impacting the timely flow of goods to their final destination. Sometimes, the issue is a faraway natural disaster or social unrest. Other times, it’s homegrown regulation or infrastructure challenges. 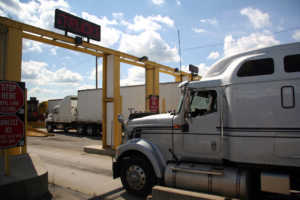 Right now, there’s swelling concern over recent promises by President Donald Trump to shutdown the U.S.-Mexican border if neither Congress nor the Mexican government takes what he deems decisive action to stem the tide of illicit drugs and illegal immigration into the U.S. Ohio 3PL partners at On Time Delivery & Warehousing are watching the situation closely, and have begun mapping supply chain contingency plans. The likelihood of an actual border shutdown isn’t clear. While some of the president’s allies in Washington D.C. have stated a total border closure would be “catastrophic” to U.S. supply chains, the president isn’t exactly known for always toeing the party line. He’s said that secure borders take priority over trade. He has floated a potential compromise: A border closure solely permitting the back-and-forth flow of commercial trucks. Whether that would be enough to blunt the biggest supply chain impacts isn’t certain. Meanwhile, trucks at the Mexican border have reported long delays this month, after U.S. Customs and Border Protection officers were abruptly reassigned from import regulation to immigration processing, according to Bloomberg. For us, this is not about choosing political sides. Our role as an Ohio 3PL partner is to be prepared for all scenarios with the goal of minimizing the product and financial losses for our clients – and that’s what we intend to do.